Football commentary always seemed like a great job when I was younger. You get to travel the country, the world, watching the game you love. You visit great stadiums, meet great players, the great managers. Immerse yourself in the culture of the game. Oh and you get paid for it. 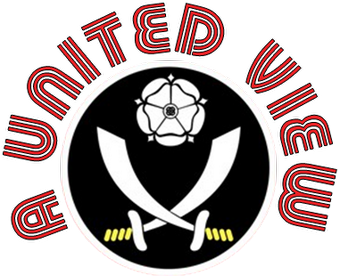 I could never see the downsides, apart from not getting to watch my beloved Blades? As BBC commentator Guy Mowbray told me this week, the downsides are few and far between, although a stomach upset, a TV gantry and 90 minutes of football isn't a great combination. Fresh from a double header weekend of commentary and ahead of his presenting return on Late Kick Off Yorkshire & Lincolnshire, Guy kindly took the time to tell me a bit about his career, what drove him to make the career decision I would have loved to have made when I was younger and what is left to achieve for a man who has already commentated on two World Cup Finals. Like many of us reading this, Guy was football obsessed as a kid; "I was playing, listening, watching, and absorbing every bit of information there was." Dreaming of wearing the number 9 shirt for his beloved York City, watching his team at a time when they were achieving giantkilling exploits against Arsenal in 1985 and a draw against Liverpool at Bootham Crescent the following year. Yet it was wise words from his Dad that set the ball rolling. "Having exited my teens still thinking about what I'd like to do with my life, one sentence set the ball rolling. "If you can't get paid for playing football, why don't you try getting a job watching it?" Interestingly though, when many broadcasters list the names and voices that inspired them, Guy's heroes were firmly on the pitch. "My idols weren't broadcasters, the stars will always be the players." Despite this he admits that, like most of us of a certain age, hearing any archive of the late, great Peter Jones (Voice of BBC radio football from 1966-90) and Brian Moore (ITV) always brings back fantastic childhood memories. For those of you too young to remember, there is a link to some of Peter's commentaries in this article from the Guardian - enjoy. Spurred on by his dad, Guy started writing as many letters to as many broadcast and reporting outlets as he could, outlining his knowledge of and love for the game. "Clubcall's northern co-ordinator John Temple responded some weeks (may have been months) later and invited me to shadow him at a match. The following week I was on my own! We both took a lucky punt basically." Guy's subsequent move to radio saw him in football commentating heaven. His first full time radio job was covering City games for Minster FM, York's independent local station. However when the station bought Wear FM in Sunderland (now Sun FM) and bought the rights to commentate on Sunderland's matches, Guy moved up the divisions and away from the Bootham press box. Guy still makes time for watching York, getting to every home game he possibly can and at least a couple away in a season. Sunderland had its attractions though, "There's something about the Mackems' passion that hooks you in and so to be honest that more than compensated for not getting to watch City quite so much. I only hated it once - when commentating on a routine 2-0 Liverpool win over Sunderland in the League Cup on the same night York beat Man Utd 3-0 at Old Trafford!" Despite resting players, the United team that September evening included Beckham, McClair, Giggs, Neville, Pallister and Irwin. Only the introduction of Steve Bruce from the bench helped to stem the York tide. A special night indeed and a disappointing one to miss, but less than three years later Guy's achievements would more than compensate. As the radio work developed, Guy was making his first forays into television. Although the transition between radio and television commentating is not straightforward. "It takes time - and if I heard my early TV commentaries back now I'd probably cringe more than usual. When I started in TV with Eurosport I was working for Metro Radio in the North East at the same time so I had to consciously think about which medium I was broadcasting on as I flicked between the two. That can be troublesome, but for me I think it helped." It certainly didn't do Guy any harm, earning a 1999 Sony award for his presenting, commentary and production of his Saturday show from Sunderland, including the epic play off final against Charlton. 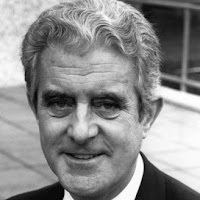 But he was not only recognised for his radio work that year, also picking up a RTS Award as the Best Newcomer in TV Sport. One of the reasons for that award might surprise many who didn't have satellite television at that time. 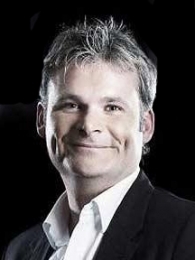 Eurosport had coverage of the 1998 World Cup in France and Guy, at the age of 26, became the youngest commentator to cover a World Cup final. So how did his first final compare with the experience of commentating for the largest terrestrial audience this year? "Commentating on the final in South Africa was fantastic - except the '98 final I covered for Eurosport was a better game with a better atmosphere. Given the fact France won on home soil it would be." The African World Cup experience made up for the disappointment of the England performances and the quality of some of the matches. "I loved everything about the South Africa World Cup though. A great experience and the final was a wonderful occasion - if not a tremendous football match. I'm glad I was there and want to be at every one in the future, Qatar included!" During the World Cup, Guy covered England's live games on the BBC including the defeat by Germany. Added to his previous experience of commentating on his own team I wondered if he ever let his neutrality slip. "I don't think I have - others may disagree. I think covering the England games it's fair enough to make clear who you 'want' to win without letting it cloud your judgement of calling decisions or assessing the game. I should point out that I would do that for any of the home nations in a major tournament, and for British teams in European games. You have to know and relate to your audience." Guy knew from February-March that he had the final "gig", but tried to forget it as much as possible in the build up and once the tournament started. "If you thought about anything other than your next game you'd soon make a mess of things and see the big ones given to someone else." With the BBC presenting a strong commentating line-up including Steve Wilson and Jonathan Pearce, Guy is kept him on his toes and it's important that he doesn't let anything slip. Something that, with 15-20 hours of preparation for each game, he tries to avoid. Social media and fan sites make it much easier for fans to comment on all aspects of football, including the way it's broadcast and the people who present it. Not least when you commentate on the big matches and the contentious decisions. It poses an interesting quandary, "You do pay attention - but try not to. What you must remember is that a lot of the comments - good and bad - are made by people who have never worked in the industry and have no experience or knowledge of how it works or why something has happened the way it has." "A friend of mine put it quite well - like overhearing a conversation in a pub between people who don't know you, but they've got an opinion anyway. The anonymity of the internet unfortunately can make some people 'braver' than they'd normally be. It doesn't really affect the way I commentate, but sometimes I read things that trigger a "oh yes, I do do that don't I?" thought in me - and I might think more carefully next time." Taking away the sense of occasion of a World Cup final, choosing the most enjoyable match to have commentated on proves tricky. "Too many to pick one out. Can I say this weekend just gone? I had 2 great Premier League games - Man City 4-3 Wolves, and the Wear-Tyne derby which is always a game that I enjoy." And a return to the city where his commentating journey really built up steam. Guy's career in radio, with Eurosport, with ITV and now BBC have taken him all over the world to some long gone grounds and to some of the most innovative designed stadia in the world. Whereas some fans look on some of the world's newest stadia with a sense of wonder and some long for the traditional grounds of old the best stadium to visit from a commentators perspective is a practical one. 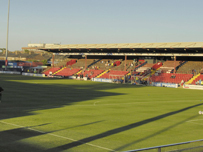 "Most of the positions we get would be worthy of the highest priced ticket in the ground. I usually have far too many notes with me (safety blanket / paranoia sheet!) so anywhere I can easily space them out and secure them is always a winner with me. Newcastle springs to mind because there's loads of room and a nice big table!" Commentating has so many highs, but there are difficult times as well, often because you are so high. "There was one match at Nottingham Forest when I had tummy trouble. The gantry at Forest has no facilities, is a long way up, and highly visible to spectators. It was a 0-0 draw v Wolves so the game did little to make my mind off my problems! There wasn't an accident of any kind, but the pain I was in at the end was just horrid." Talking of painful, I had to ask how he copes with Lawro's "gags"? "I think they're great. Ok, not all of them - but I do like the way he lightens the mood sometimes. We can sometimes forget it's a game of football and sport is meant to be entertainment to the viewing public. I play the role of groaning viewer from time to time (for effect!) but I love working with him. The perfect travelling companion - relaxed, funny, grounded, and he doesn't half know his football." Having commentated on World Cup finals, travelled the world watching England, Champions League matches it would be easy to assume that Guy's future commentating ambitions are limited. Not so "I want to do more World Cup finals - and generally just to keep on doing this for as long as people think I'm good enough to do so." Despite appearing very comfortable in front of the camera on Late Kick Off, it is not where he expects his career to develop. "Do I? Goodness me I'm not. No, it's not really where I want to go, it's the commentary gantry for me all day long. I was flattered to be asked and enjoy the programmes and their content but I feel like a complete novice really. It's something I do to gain more experience on a 'just in case' basis - but no, I'm not a presenter." "Don't do it just to get onto television or the radio. You'll be found out if your number one interest is yourself." "Do it because you love football". Many thanks to Guy for his time. Unlike some of those he commentates on, Guy is still allowed on twitter and can be followed at @Guymowbray Go follow. My only beef with commentators on TV is their failure to commit on an incident or decision. Radio commentators will call something as they see is whereas TV counterparts will 'suggest'. So, an obvious offside on the radio becomes a possible offside on TV even though it's blatant! It's a fine line the commentators tread. I can't help feeling that the general dislike you see on twitter and on forums for Alan Green stems from his willingness to offer an opinion.